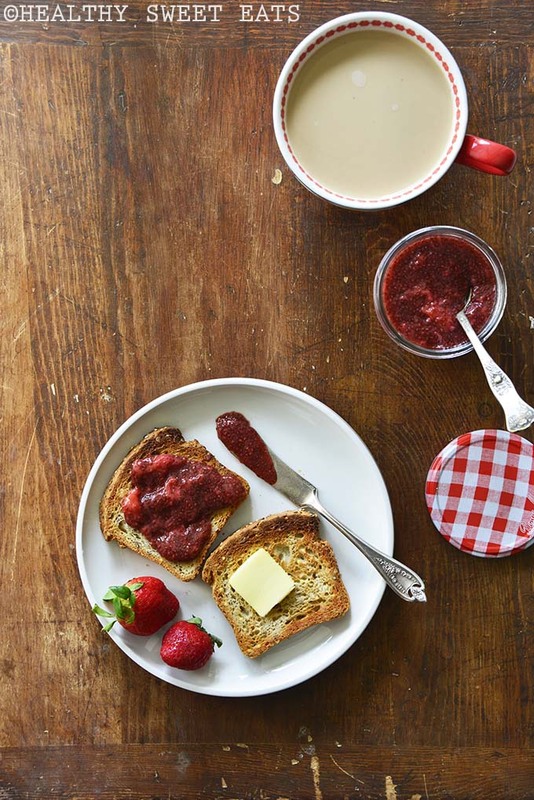 30-Minute Strawberry Balsamic Vanilla Chia Seed Jam is a healthier take on a classic favorite jam. It’s basically strawberry chia pudding, so not only is it perfect for topping toast with, but feel free to dig right in with a spoon! Every year when strawberry season rolls around I go a little hog wild, especially if I’m picking my own. There’s some kind of primal instinct that kicks in when I go into a strawberry field with nothing but an empty container. Every single time I end up coming out with way more than intended or needed. But I could do a lot worse than too many strawberries, lol….